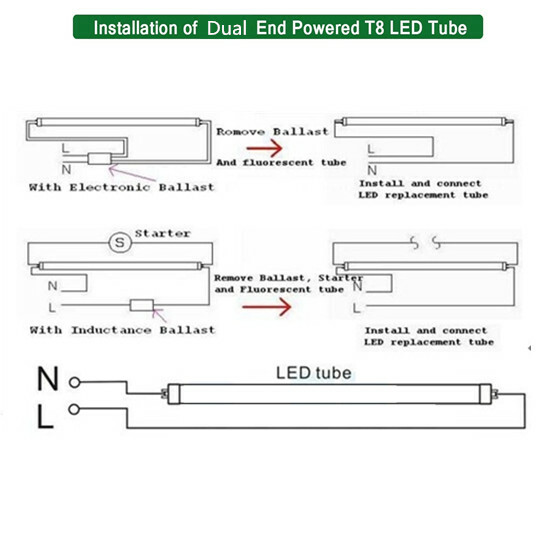 Florescent tube replacing by LED tube, ballast compatible LED tube or ballast by-pass LED tube, how to install LED tube in practical. 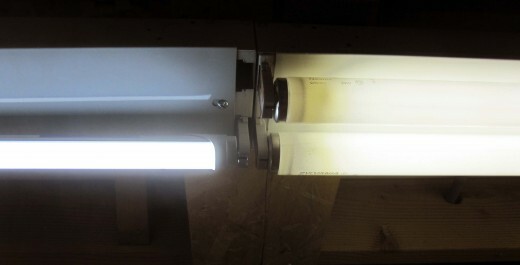 How to Replace an Old Fluorescent Tube with LED Tube Light? Removing or bypassing the ballast involves some simple re-wiring of the light fixture. This sounds intimidating, but is actually quite simple and can be done with common tools. Ballast by-pass LED tubes eliminate the need for an external driver or ballast. For new construction installations, simply connect the line voltage directly to the sockets. For retrofit installations, bypass the existing ballast by cutting the wires and connecting the line voltage directly to the sockets. No ballast or driver is required. 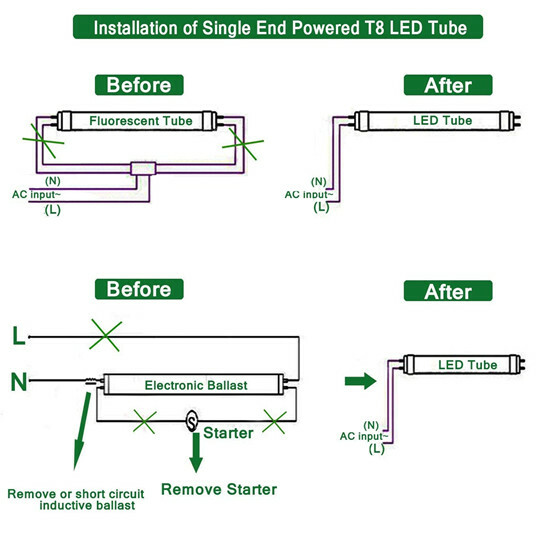 If the Ballast-Compatible version tubes, then it can direct installation for retrofit cases, no need to make any change in the old fixtures' circuit. There are a few important considerations when removing the ballast, such as whether to use Double Ended Powered, or Single Ended Powered LED tube lights. It's important to follow a guide.